Once you can do between 10 and 20 deadhangs, do this work out! An important piece of equipment that you might want to buy, if your gym doesn’t have one, is a dip belt. It looks like a weight-lifting belt with a long chain attached to it. 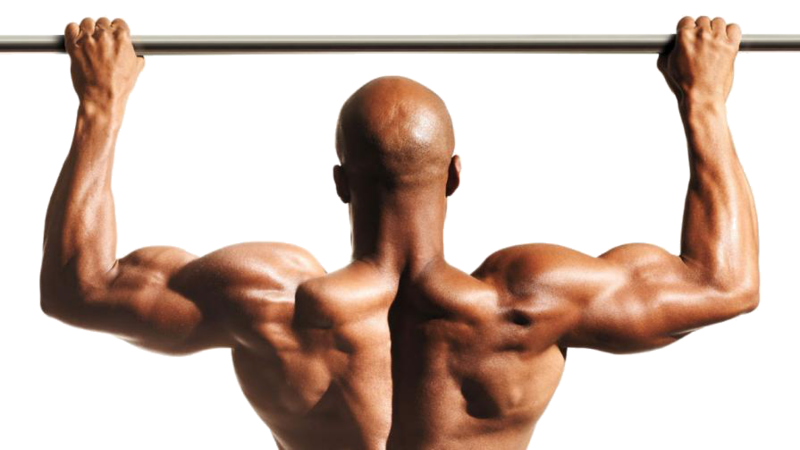 Set #1 – Do 5 slow warm-up pull-ups! Take a short rest, 1-2 minutes! Set #2 – Using the dip-belt add 15-30lbs to the belt and shoot for 7- 13 reps! If you aren’t getting 7 reps lower weight, if you are getting 13 or more increase the weight! Take a 3-4 minute rest! Get to 20 pull ups with a little weighted help! Set #3 – Add 10-20lbs (Total weight 25-50lbs) more to the dip-belt and shoot for 3-7 reps! Take a 3-4 minute rest! Set #4 – Do a max set no weight added to total failure! 8-20 reps! After you’ve finished with the pull-ups, move over to the lat pulldown machine. Use your preferred pull-up grip! Do 3 sets of lat pulldowns. Thank you so much for posting this. Next to the Armstrong program, this is the best pull up workout I have ever done. I was plateauing at 15 pull ups when I began to integrate this program. Within two to three weeks, I was able to get 20 pull ups no problem. I would highly recommend this to anyone who can do more than 10 pull ups. How many times a week did you do this? Yes. How many times a week was this done? ?